What can be better than a posh apartment in the most remarkable area in the metro city? It is tough to find a perfect home in a developed location as the metro cities lack in space. It is hard to find a time and find the right properties. If you are looking for a perfect property in Bangalore then you are in for a surprise. Ashok Piramal Group is all set to cater the best luxury apartments in an unbelievable location of Bangalore only for few lucky families. The new project Peninsula Heights will be landmark creation in this city. Piramal Realty is the real estate concern of the big brand. It has an excellent career record in all directions. The real estate division is adorned with stalwart professionals who design and execute righteously to give the residential projects the idea shape you expect. The brand has chosen Bangalore to be the next location for its remarkable project named Peninsula Heights JP Nagar. 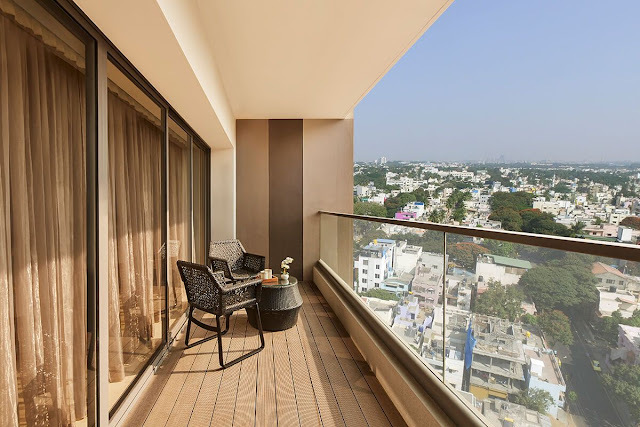 The beautiful neighborhood in JP Nagar will be ideal for those who want a posh surrounding and a villa sized apartment to lead a grand lifestyle. Bangalore is a prime city for the IT professionals. The outstanding opportunities and beautiful lifestyle in the metro city are very lucrative for the professionals who want to thrive and settle down here. Piramal has taken this opportunity to deliver a marvelous project right in the heart of the city. It has acquired a huge space in JP Nagar, a quality location in the middle of the city. Needless to mention, Peninsula Heights will be the best project to own future homes in Bangalore. JP Nagar, also known as Jayaprakash Nagar, is a promising location in terms of everything. The closeness to the IT hubs will offer immense convenience for the professionals working in the multinational companies. The posh location will also cater excellent schools for the children. The family will be able to find all the daily needs right to their doorstep. The roadways and excellent means of transport will offer a seamless connectivity with the other parts of the vibrant city. The vicinity of entertainment centers, malls, eateries, etc will offer an enjoyable environment for the residents. Piramal will offer two sky-high towers with posh residential apartments. The towers will have 23 stories and 11 stories each. Peninsula Heights Bangalore will offer 3 BHK, 4 BHK, and 5 BHK apartments. The futuristic floor design of the properties will offer a space ranging between 3240 square feet and 6800 square feet. You can easily imagine how vast the rooms in the apartments will be. The vial sized apartments will be available for possession by the end of 2018. The price of the palatial properties will start from INR 4.15 Crore onwards. Peninsula Heights will also offer all the amenities a modern family needs in a posh project. From excellent security system to power backup, spacious community halls to a giant clubhouse, everything will add up to create a remarkable environment for the future residents.